Boylesports punters will still be watching the re-runs of John O’Shea’s last gasp equaliser in Gelsenkirchen against ze Germans with fond memories and hangovers, but lets move on lads, the Premier League is back. However great Tuesday night was there is nothing better for football punters than having the bread and butter English top flight action back on our TV screens. The match which starts proceedings is the Saturday 12.45pm kick-off from the Etihad between Manchester City and Tottenham live on BT Sport. City, it may sound silly to say after just seven games of the season but this is a “must” win for them to keep the pressure on Chelsea at the top of the table and the stats say they will. Boylesports make Manuel Pellegrini’s (is it just me or is he the double of Audrey Roberts from Coronation Street) just 40/85 to win this match and with a massive Champions League clash in Moscow in midweek it looks a tad on the short side for me. But, they won this fixture 6-0 last season, a 66/1 chance this time around, and in the two games played they won by an aggregate 11-1. One thing you’ve got to concentrate on though in this clash is goals and a lots of them. There has been a staggering 30 goals scored in the last six matches between these two and in five of the last six meetings both teams have scored. I’m getting well stuck into the “BTTS” market at 3/4 with Boylesports. I’m also a backer of over three goals in the game at 29/20 but the best bet on the Boylesports coupon for me is City to win and Both Teams To Score which is 19/10. With goals expected, I would’t put you off a having a couple of small wagers on a 3-1 and 4-1 home win at 10/1 and 18/1. 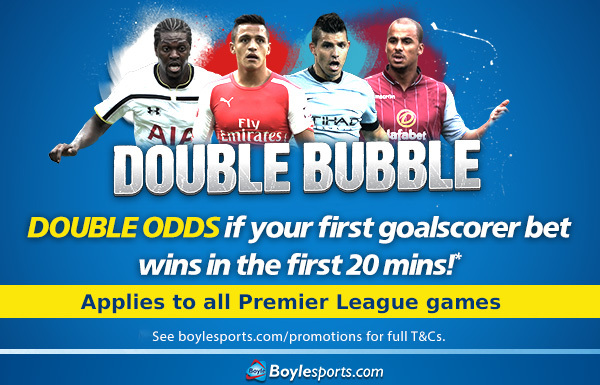 In last seasons clash it took Jesus Navas just 14 seconds to score the opener and in a game where we mnay see a few, Boylesports offer of “Double Bubble” looks a generous one. If you winning goalscorer selection scores inside the first 20 minutes Boylesports will double the return. Double, Bubble, Lovely, Jubbly…. Get on Sergio Aguero at 3/1. The Argentinian loves playing Spurs, last season he netted three times in the two matches and has scored more goals against Tottenham than any other team in the Premier League. 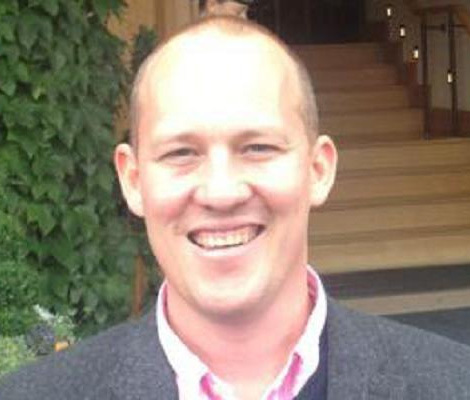 Betting tipster for The Sun and presenter on TipTV, Nigel Seeley is renowned as one of the UK's top tipsters.